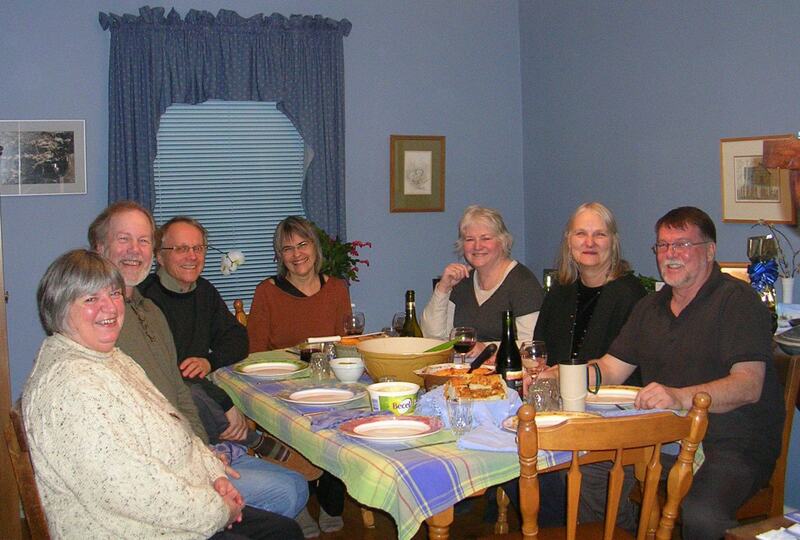 Cohousing Neighbourhoods… Some people call them a return to the best of small-town communities. Others say they are like a traditional village or the close-knit neighbourhood where they grew up, while futurists call them an altogether new response to social, economic and environmental challenges of the 21st century. Each holds a piece of the truth. Cohousing is a concept that came to North America in 1988 from Denmark where it emerged in the early 1960’s. It describes neighbourhoods that combine the autonomy of private dwellings with the advantages of shared resources and community living. Residents usually own their individual homes, which are clustered around a “common house” with shared amenities. These amenities may include a kitchen and dining room, children’s playroom, workshops, guest rooms, home office support, arts and crafts area, laundry and more. Each home is self-sufficient with a complete kitchen, but resident-cooked dinners are often available at the common house for those who wish to participate. In some communities participants will join a cooking team once or twice a month – then sit and enjoy meals cooked by fellow residents the remaining evenings of that month. Cohousing residents participate in the planning, design, ongoing management and maintenance of their community, meeting frequently to address each of these processes. Cohousing neighbourhoods tend to offer environmentally sensitive design with a pedestrian orientation. They typically range from 10-35 households emphasizing a multi-generational mix singles, couples, families with children, and elders. In North America approximately 160 cohousing communities have been completed since 1991 and there are currently more than 100 new communities in various stages of development. The level of social interaction and shared resources varies among communities. A cohousing development seems limited only by the imagination, desire and resources of the group of people who are actively creating their own neighbourhood. Cohousing groups are based in democratic principles that espouse no ideology other than the desire for a more practical and social home environment. Cohousing provides personal privacy combined with the benefits of living in a community where people know and interact with their neighbours. It’s about living in a way that’s responsive to a world that has changed dramatically in the last fifty years-a world in which the home life has changed, women are integral in the labour force, resource limitations and environmental concerns are on the rise, and many people feel over extended. Cohousing offers hope in our often dissociated society. Through cohousing, we can build a better place to live, a place where we know our neighbours, a place where we can enjoy a rich sense of community and contribute to a more sustainable world.